Decorating the home to kick off the holiday season? Are you worrying about a special gift for that friend has who has everything? What about adorning your front door with a welcoming floral statement? Made not just for holiday gift giving, feast your eyes on these beautiful living works of art made in the form of wreaths. 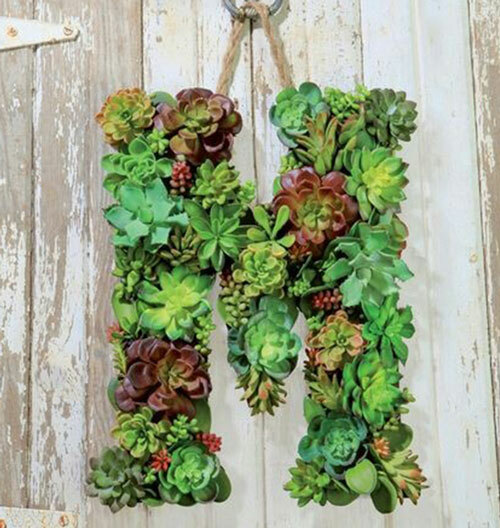 From traditional to modern to ornate, find your inspiration here and make a truly unique plant wreath. While your supplies will vary on your final creation, you can get a basic idea from this photo. You will need a circular wreath base and various plants. 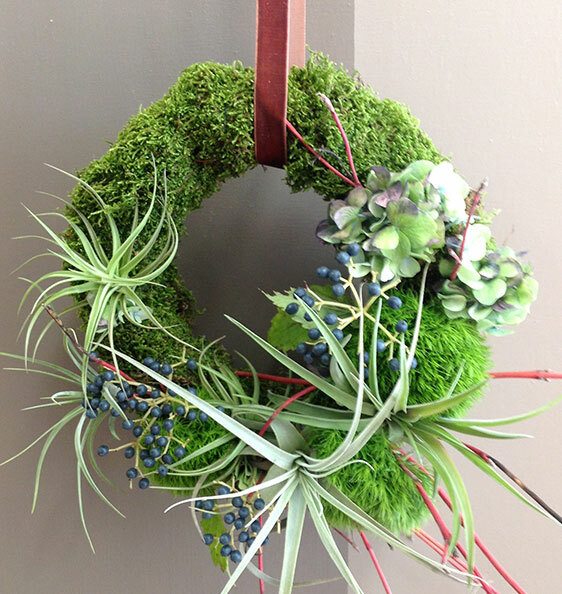 We suggest Tillandsia (Air plants), succulents, moss and any other dried and accent pieces you can imagine to add. 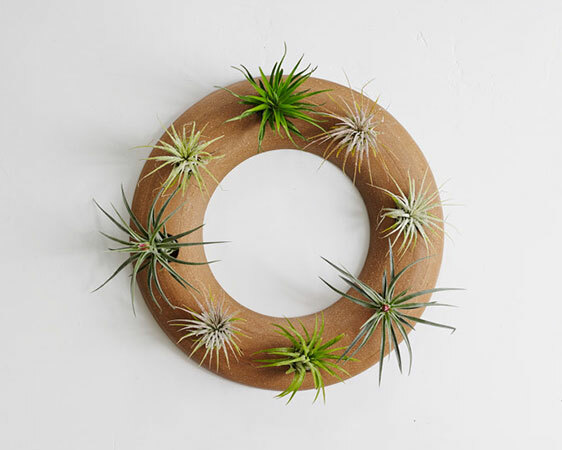 Fitting perfectly in a modern home, this wreath is decorated simply with 8 air plants. 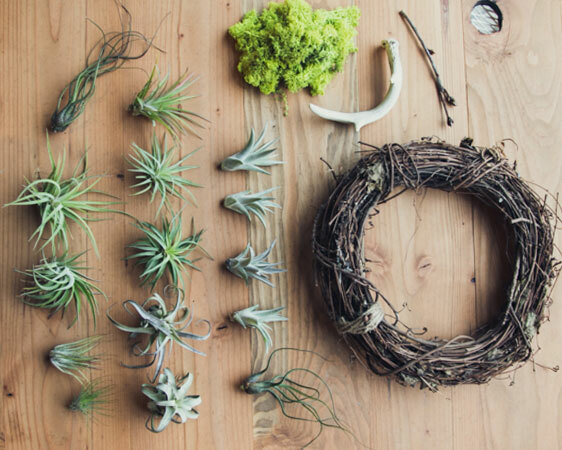 Casual and chic design uses a grouping of air plants and adds an antler to give it a rustic edge. 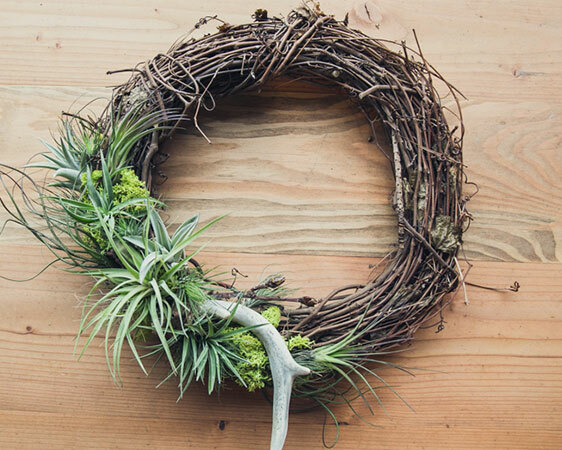 This wreath takes its queue from a beautiful tropical bird and adds spice with colorful moss and various Tillandsia species. Are you inspired to try your hand at a homemade gift for your loved one or your home? At Interior Gardens LV, we can help you choose from a large collection of plants and discuss how to take care of these living wreaths. Sign up for our newsletter and get updated on our future workshops! Learn about indoor plants and wreath making this holiday season. ← Holiday Dinner Soon? Add Some Greenery to Your Table!